…and so, I have finally added two new dresses to the collection on my Etsy shop. 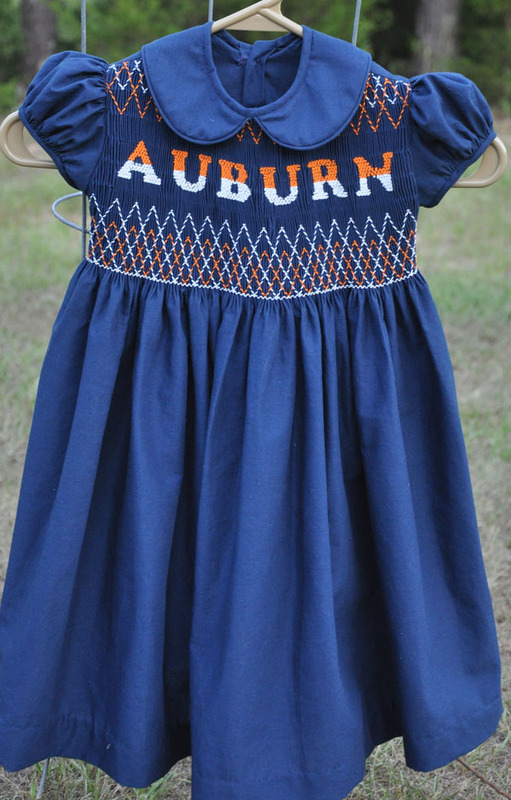 One is another adorable Auburn dress. It is navy blue and has Auburn across the front. The other dress is probably the most classy and detailed dress I have made to date. The detail on this second dress is awesome. These two dresses have been finished for a while, but had to wait for life to calm down and photos to be taken. Now that I am back from teaching Hand Quilting at the Estes Park Fiber Festival (which was enormously gratifying) and I now have one graduate class, instead of three, on my plate, hopefully, I can get back to smocking, knitting, sewing….etc. It felt really good to get back into the teaching mode at the festival. I really love it when I can see students actually understanding and improving their skills throughout the duration of the class. Thanks to my minor afternoon contribution, I can say that there are 20 more people out there who have a better understanding of the art of hand quilting. Fabulous! Now, on to the dresses. 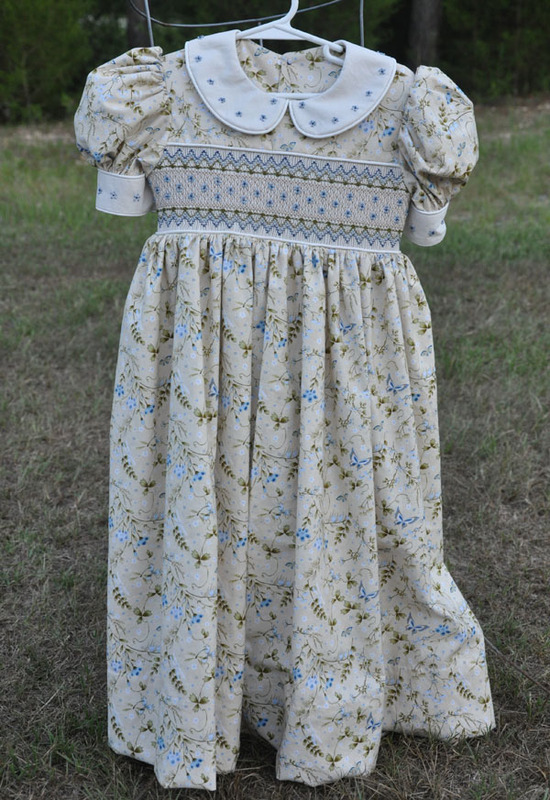 I have the fabric in the stash for an Alabama Roll Tide dress, but have yet to put a needle to it. Also in the works is an Auburn toddler bubble outfit that is just adorable, complete with paw prints. So, if you haven’t yet visited my Etsy site, please, please, please do. I would really appreciate it! As always, comments are welcome and appreciated! Woohoo! Your smocking skills amaze me. I know I’ve said that before, but it bears repeating!